Stapleton Moms: Bigger Better Bladium! We've all been wondering what's happening with all the construction over at Bladium, and now we have answers! 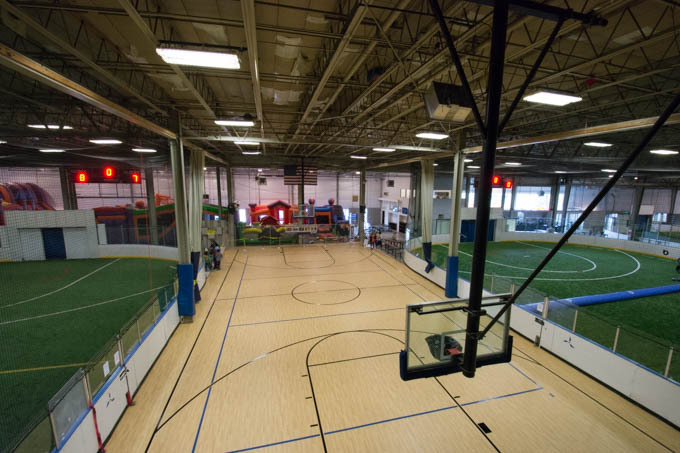 Bladium Sports & Fitness club just announced a major expansion of its facilities, and now offers more than 83,000 square feet of fitness and fun for the whole family! 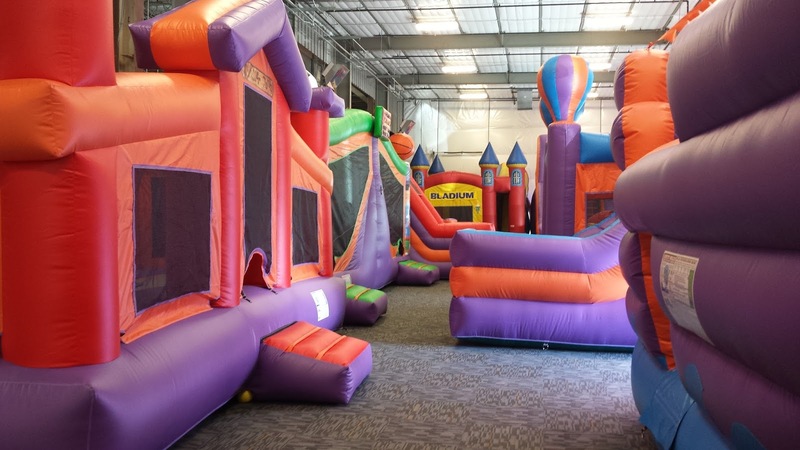 For kids, there is a NEW dedicated Inflatable Fun Zone., which has more than 5,000 sq.ft. of bouncy fun, including eight jumpees, a soft play area for the little ones, and a parents’ relaxation zone. The Fun Zone is open daily, and is also available for exclusive bookings for birthday parties. Birthday party options have also expanded, with a new dedicated turfed outdoor area perfect for summer water slide birthday parties. For adults, Bladium CrossFit now boasts a dedicated indoor workout space of 5,500 square feet, plus another 10,000 square feet of outdoor space. The generous workout area features a new weight lifting area, spacious WOD (Workout Of the Day) area, and plenty of open mobility space. Members have plenty of area to push themselves to the fullest during their workout, both indoors and out. New equipment also continues to be added. Bladium CrossFit not only offers more space, but more options including 60+ yoga, spin, and other group exercise classes in the club Fitness Center. The facilities also include a newly opened a bar & cafe, and offer endless fun for kids with childcare options while you work out! On the sports side, a third indoor soccer field has also been added, which means greater capacity for kids' summer camps, kids' sports classes, and adult soccer leagues. For basketball and volleyball lovers, the newly minted dual-purpose basketball/ volleyball court is now available for open use (when not reserved) or can be booked for exclusive rental. Club hours are 5:00 a.m. to midnight on weekdays, and 7:00 a.m. to 8:00 p.m. on weekends. Bladium Sports & Fitness club is located at 2400 Central Park Blvd, Denver, CO 80238. For more information on kids programs or fitness memberships, contact Todd O’Hair at denversales@bladium.com.